Long-term readers will remember ex-Dr Andrew Wakefield who published an now-retracted article in The Lancet in 1998 that purported to show a connection between the MMR vaccine and autism. 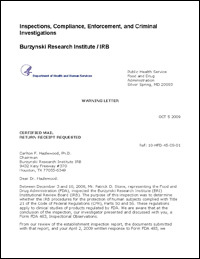 In summary, Wakefield was paid a large amount of money by lawyers to prove a connection, he was to be paid expert witness fees for testifying in cases against vaccine manufacturers and he had patented a measles vaccine and stood to make a huge amount of money if he could discredit the vaccine that was in use. Children died because of this man's greed and dishonesty but he is of course a hero of the anti-vaccination liar movement. 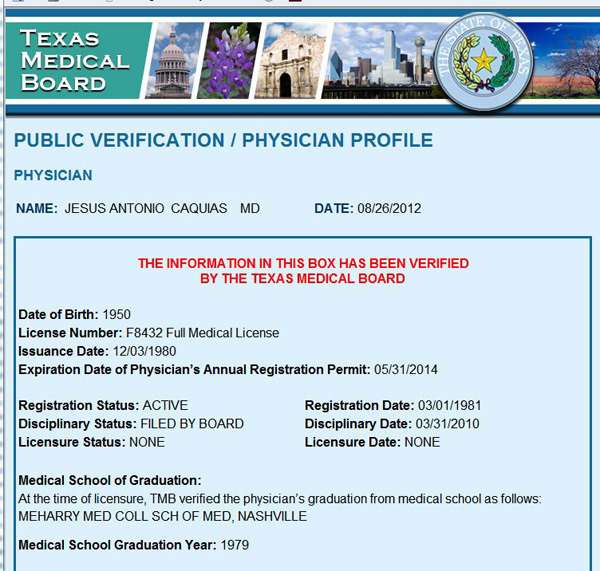 He was struck off as a doctor in the UK and has for some time been working in the US pretending to have a cure for autism. He decided to sue the journalist, Brian Deer, who had originally exposed him, the British Medical Journal for publishing the story of his fraud and Fiona Godlee, the editor of the BMJ. He decided to do the suing in Texas, knowing full well that there is no way a court in Texas can rule on a defamation case against British defendants who are all in the UK. The purpose of the suit was to allow his supporters to continually rant on about how he was about to be vindicated and get huge amounts of compensation. If you click on the image at the right you can see what the court in Texas finally decided. It took very few words for the judge to say that as there was no jurisdiction there was no case. DISMISSED! It is interesting to note that the court also denied an application by Wakefield to block the defendants from appearing in court. He wanted a court to rule that he had been defamed but not allow the people he was suing to defend themselves. Two Australian sayings apply here: "More arse than class" and "Hide to the bone". Still, as Wakefield has never shown any hint of a lack of arrogance and self-importance it is no surprise that he should have tried on such a transparent piece of nonsense. There's an old cliché about being judged by the company you keep. 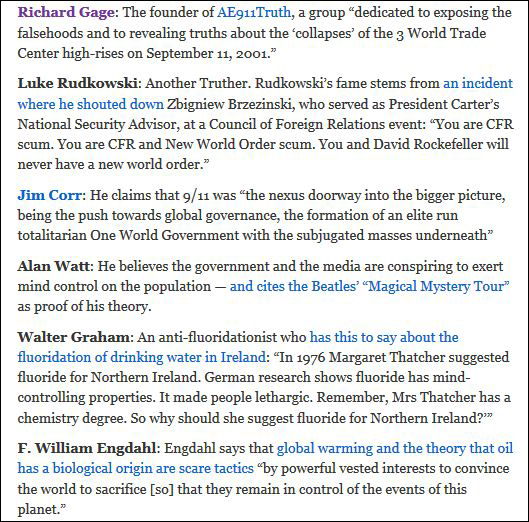 Look at the company Wakefield keeps and then tell me that he has anything worthwhile to say about the practice of medicine. I don't know how this got through the spam traps, but I'm glad it did. My name is Mrs Yetunde Owolabi from Republic of Benin, I gave birth to twins, 2 babies (Boy and Girl) at a time after the death my husband on 18th of November 2011 by auto car accident. Already we have received 4 children from God, right now I can't take care of them so I have decided to give them out for adoption, if you are interested let me know, I am not selling them but you will only pay for adoption fees to the ministry in concern. Please adopt my Babies or my Children. Maybe there's a pattern developing. I let this one through (but not the second copy of it). I suppose spammers could become more revolting than attempting to steal money from people either desperate for a child or with compassion for others, but I'll just have to wait until that vileness comes along. See my answer to the first blog post here. It's taking a bit longer than I thought to respond to all of Ms Dorey's blog posts about me, so I'm having an early mark. There might very well be another site update during the week just to do the other responses, but I'm not promising anything. In the meantime I'll leave you with this comment on Ms Dorey's attempts to belittle and abuse me. See my answer to the second blog post here. 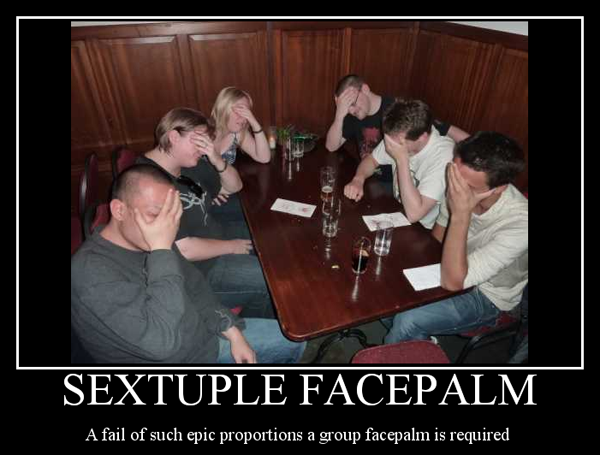 But seriously folks ... My Twitter stream hasn't been filled with such excitement about science since we all connected to that flakey video broadcast from CERN about the Large Hadron Collider and the Higgs Boson back in July. We landed a truck-sized contraption on Mars using a supersonic parachute and a rocket-propelled flying crane with wires dangling from it. And he whole thing cost only 17% of what it costs to put on the Olympic Games. It's been a great year to be alive and interested in the progression of human knowledge. And speaking of progress - my grandfather was born before the Wright brothers' first flight. What can we expect in the next 110 years? The scamsters at pyramid scheme operators TVI Express are the gift that keeps on giving. They simply cannot help behaving like the criminals they are. In the latest episode of the saga, one of the crooks kept taking money out of the bank in contravention of a court order. You can read the media release from the Australian Competition & Consumer Commission here. I actually hope that the scum commits another contempt of the Court and gets locked up. I love the idea of Terri Jutsen experiencing first hand what it means to be in the downline of a prison pyramid. The Federal Court has fined Lualhati Jutsen, also known as Teddi Jutsen, $10,000 for contempt of court orders relating to bank withdrawals. "This case highlights the ACCC's determination to pursue contempt action when orders of the court have been breached or not complied with," ACCC chairman Rod Sims said. Ms Jutsen was a respondent in the ACCC's TVI Express pyramid selling scheme proceedings. Earlier this year, Ms Jutsen was found in contempt of the Federal Court by withdrawing $35,000 through a series of six transactions from an ANZ bank account on 28 May 2010, when at the time she was restrained from making withdrawals from this account beyond those required to meet her ordinary living expenses. Justice Jagot considered a fine of $10,000 was appropriate in all of the circumstances, including the fact that Ms Jutsen was already subject to a substantial fine of $90,000 in the pyramid selling scheme case. Justice Jagot also took into account the fact that Ms Jutsen has been ordered to pay the ACCC's costs of the contempt proceeding on an indemnity basis. In November 2011, the Federal Court declared TVI Express a pyramid scheme. People who wished to participate in the scheme were required to pay a membership fee of $330. Once an individual had paid the $330, they received a 'travel certificate' and the opportunity to receive commission payments for recruiting other people into the scheme. The court found that the travel certificates were of little to no value and that the only way a person could earn income from their participation in the scheme was from recruiting new members. In May 2012, the Federal Court imposed penalties on Ms Jutsen and two other individuals for their illegal participation in the pyramid selling scheme. Shuzi Qi strengthens and fine-tunes the human biofield, making your mind and body more resistant to the effects of stress in any form, including electromagnetic fields (EMF), harmful emissions radiating from electronic equipment such as cell phones, computers and hair dryers. Electromagnetic fields can stress the body in several ways, such as affecting your heart rate, disrupting your brain activity during sleep and even reducing your body's production of melatonin, thereby diminishing your resistance to cancers. Shuzi Qi uses subtle vibration programmed at the nano-level to create a stronger frequency for your biofield and those cells of which it is comprised, enabling your body to more capably resist the effects of any stress it's subjected to. Your body can reset and self-correct more quickly and easily. Cells communicate with each other by known methods of chemical reactions and through the biofield. They have a resonating frequency at which they operate in order to stay healthy, but these cells are affected by outside electric and magnetic environmental conditions. Subtle vibration can reinforce a cell's natural frequency to override outside environmental influences, which cause cells to communicate better. Sounds like the standard rubbish that comes from this sort of outfit, but Shuzi make some actually testable claims. Now, if I could do that with a metal ring or bracelet I'd be willing to put it to the test. I might even try to get $100,000 from Australian Skeptics or $1,000,000 from James Randi. That would be easy money which could then be spent promoting the product to doctors who treat circulation problems. As an example, there are a lot of people in the world with diabetes who are at risk because of poor circulation. If a treatment for this became available the market would be huge, billions of dollars would roll in and there might even be a Nobel Prize in the offing. Oops. I forgot for a moment there that this is a scam and these people would run from any testing like cockroaches when the light comes on. 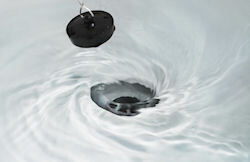 They don't need to do real tests when they can just say that these rings do things and hope that suckers believe them. Shuzi (pronounced shoo-zee ) utilizes a proprietary chip from the United States, which is programmed to resonate with your cells' natural frequencies and causes your blood cells to separate and un-clump therefore creating a better blood flow with more oxygen through out the body. The Shuzi device is intended for use to stimulate and strengthen the body's biofield by fine tuning the body's own natural frequency and providing healthier blood. The combination of multiple tuning forks that emit their own frequency create a subtle vibrational energy, effective enough that it interacts with the body's biofield. 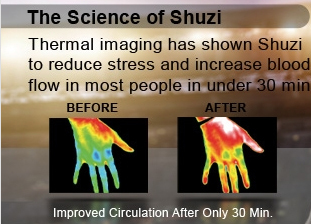 The Shuzi device emits many unique frequencies chosen to be compatible with human cells, and is effective incontact with the bodys biofield, usually with in 6 inches of the body. Q-Link and other SRT™ products support the body's innate intelligence, energetic systems and inbuilt capabilities - working like a series of optimally vibrating tuning forks to constantly resonating with, tune, enhance and support the body's own natural healthy frequencies. Do I see a mention of tuning forks there? Shuzi can't even invent their own analogies. I must admit that Shuzi don't make anywhere near the number of claims that are put out there for the Q-Link, but they are a relatively new business and Q-Link has been scamming the public for years. Still, you would think they would like to take on some skeptics and relieve them of their money. Except that would mean passing a test. So where is Shuzi Qi now. Are they prospering in the Australian market, curing peripheral neuropathy, reducing the potential for strokes and making athletes perform better by more efficient supply of oxygen to muscles? Let's have a look at their Australian web site to see how they are going. So that's how they're going. Going away. When asked to put up or shut up they chose to shut up shop. Of course we haven't seen the last of them or scamsters like them. Even now someone is probably looking at web sites about old-style frauds like Q-Link and thinking "If I can get someone in Hong Kong to make me some cheap jewellery I can make a fortune lying about magic powers". As Joseph Bessimer (not Phineas T Barnum) said: "There's a sucker born every minute". Our job is to remember another misattributed quote from John Philpot Curran (not Thomas Jefferson), which can be paraphrased for the occasion as "Eternal vigilance is the price of freedom from scams". They won't give up, and neither will we. Running this crowd out of Australia is a nice result, but it is just one step on a long journey. Here's my talk at SkeptiCamp Sydney in May this year. You can see the results of the experiment here, and things turned out just as hypothesised. One thing missing from the day was a competent psychic who was capable of telling me to walk very carefully on the way home otherwise I would fall over and break my right ankle. 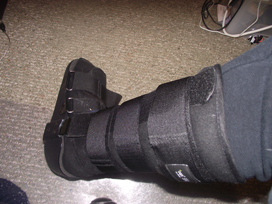 I'm still wearing the big plastic immobilising boot, although I have been assured that everything will get better before my mountain bike rusts away completely and I forget how to drive a car. This week I finished off my responses with replies to the last two blog posts. You can see all of the replies here. Ms Beeby, why do you refuse to answer the simple question - are you associated with the Australian Vaccination Network, Australia's leading anti-vaccination organisation? 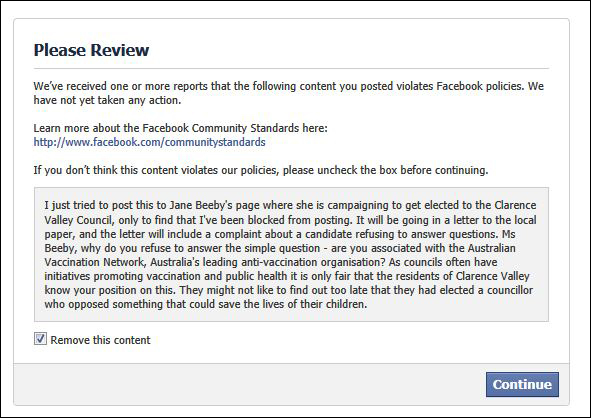 As councils often have initiatives promoting vaccination and public health it is only fair that the residents of Clarence Valley know your position on this. They might not like to find out too late that they had elected a councillor who opposed something that could save the lives of their children. I received an immediate response saying that my message could not be posted to the page. I assumed that, as for so many of the AVN's "public" forums, I had been blocked. Shortly afterwards I found out that the entire Facebook page had been deleted. This is yet another possible breach of electoral legislation, as all publicity material is supposed to be preserved. I posted a comment about being unable to post to Jane Beeby's electioneering page to another group and thought no more about it. As I can see nothing there that would have been detected by any automatic filtering system at Facebook I have to assume that someone complained. Remember that these people claim absolute freedom of speech to spread lies about vaccination and squeal their heads off at any attempt to criticise them as if criticism is censorship. It is further evidence of their hypocrisy that they have been engaged for more than a year in a concerted campaign of complaining to Facebook about posts, making false claims of copyright violation and causing people's accounts to be suspended or even cancelled. A few weeks back all the administrators of the Stop the AVN Facebook group were suddenly locked out of Facebook following a mass complaint. I was one of the lucky ones as all I had to do was identify myself with my mobile phone number to get back in. Others were not so fortunate, with bans ranging from days to weeks, with at least one person having his account cancelled. These people are pathetic, but they join a long tradition. In all the time I've been running this site I have almost never had anyone challenge me by providing evidence to show that I am wrong. Lots of legal threats, copyright claims, trademark claims and so on. Anything to silence criticism rather than respond to it. 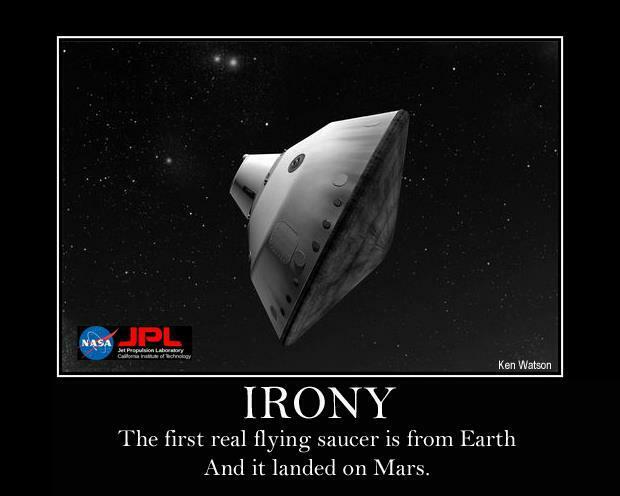 I talked about this in my SkeptiCamp Sydney presentation in 2011. I don't think it's a tactic that is going to go away. Absent facts, it's all they've got. While everyone is still waiting for cancer quack Stanislaw Burzynski to produce some published results from the 61 clinical trials he claims to be running (60 actually, as one was supposed to start last December but recruiting of victims hasn't started yet) some interested persons did a bit of digging into history. So what did the FDA have to say in 2001? Enrollment of subjects into antineoplaston study protocols prior to the protocol-specified interval following prior chemotherapy and/or radiation therapy. Failure to report all serious adverse events (SAE's) and adverse events (AE's) to the agency and/or IRS. Failure to follow proper informed consent procedures. Failure to maintain adequate drug accountability records. Discrepancies between the case report forms and source documents. I wonder if anything has improved by now. Somehow I think not. And what did the FDA have to say to the chairman of the Burzynski Research Institute Institutional Review Board? The fact that Burzynski manages to stay in business stealing large amounts of money from desperate people while pretending to do research is a disgrace and indicates the total inability of the FDA to act as a watchdog over medical fraud and quackery. If a social science laboratory in a university were to be found to be operating like this it would be closed down tomorrow, if not sooner, but this crook has been getting away with laughing at authorities for decades. The response to the IRB investigation was priceless. We were told that as it was addressed to a Doctor Hazlewood it could have nothing to do with Burzynski, otherwise it would have been addressed to him. Think about that for a moment. 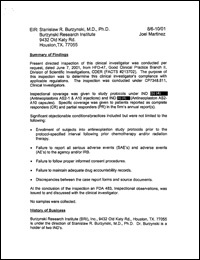 A letter to the chairman of the Institutional Review Board of the Burzynski Research Institute has nothing to do with the man who does the research and whose name is on the building and who pays the bills. This pathetic defence would be laughable if it wasn't so funny. Meanwhile, the advertising to attract more desperate patients goes on. 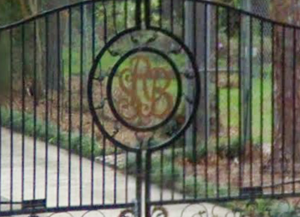 The gardeners and the man who polishes the gold initials on the front gate of Dr Burzynski's house have to be paid. I'm running a bit late with this week's update, but that gives me the chance to provide examples of the sort of filth that flows from Burzynski supporters. Film director Tony Scott ("Top Gun", ...) committed suicide, apparently because he had cancer. I offer without comment the following Twitter messages by Burzynski supporters. Both of these original tweets were retweeted by a persistent anonymous shill going only by the name @BurzynskiSaves. The latest edition of Australasian Science magazine is on its way to subscribers and newsstands. As usual I've buffed up to write my Naked Skeptic column, and if you knew what winter was like in the Blue Mountains you would know the sacrifices I make to stay in character. This month's column is about government attacks on homeopathy around the world. You can read it here, but I recommend a subscription to the magazine because each month's issue is packed with interesting scientific material written so that it is understandable by people without higher degrees. It's the best science magazine in Australia, and I don't say that just because I write for it. 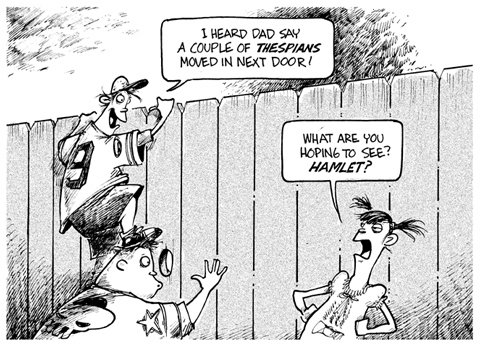 As mothers say to the eleventieth repetition of the question "Why?, the answer is "It just is!". Because I had to spend too much time this week responding to the attacks on me on Meryl Dorey's AVN blog I ended up short of time to do all the things I meant to do. 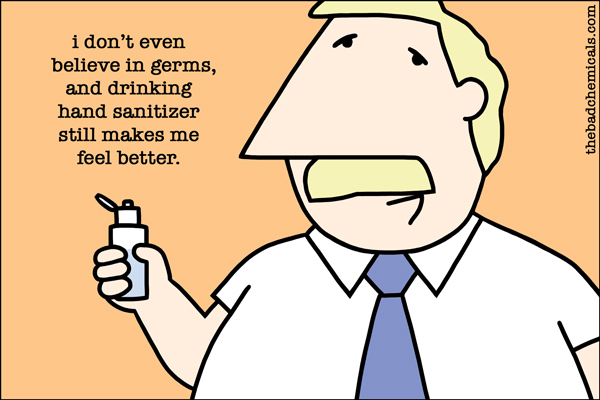 I have just discovered that the abuse and lies about me has reappeared on yet another anti-vaccinator's blog. It's the infamous Judy Wilyman and I have to respond quickly because she is touting her academic qualifications as evidence that she has not said or done the things she has said and done. Apparently it took two months for her to notice that I had written about her, but it seems that I have now been promoted to the top spot in pro-vaccinators in Australia and must be lied about on a daily basis. Did I mention that I can't reply to her on her blog, or did you just guess that by yourself? Anyway, what I was planning was a big analysis of the dismal failure of legal actions touted by our old friend Tim Bolen, spokesvomit to cancer quacks, insurance fraudsters and dentists who sexually assault patients. Tim was telling everyone how the entire medical and skeptical communities were to be rendered bankrupt and discredited by a series of court cases. Unfortunately for Tim, none of it came true. More next week. A friend of mine had a glucose tolerance test this week. The bottle of sweet stuff she had to drink was labelled "Gluten Free" as well as "Kosher" and "Halal". I am pleased that the dietary and religious needs of people being tested for diabetes are being recognised, and it is good to know that the correct procedures were followed when the throats of the sugars were cut. I live in the part of Sydney where all the old hippies went to retire and sometimes I think it's a challenge to find anything with gluten in it. 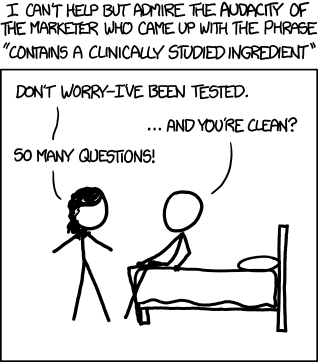 I was in a cafe recently where the pepper and salt shakers were labelled "All natural", the scones exploded into masses of crumbs due to the lack of gluten and the only sweetener available for coffee was stevia. I didn't ask if the coffee was free-range, but I'll bet the eggs were. Jean thinks that I am misinformed about vaccines and the despicable Mary Tocco. She writes using IncrediMail, an echo of what it was like back in the days when people made web sites full of animated images at Geocities. I was disappointed, however, that she chose to write in bright blue 12-point Arial - it would have been much better in bright blue 12-point Comic Sans. You can see the attractive animated GIF in her messages over there on the right. Jean also thinks I am mistaken about cancer quack Stanislaw Burzynski. It appears to me that you are really ignorant. You want all to fail. What is the difference if the people pay out thousands for the standard Treatment that has no better then a 5 percent cure rate (that may be exaggerated) and if they die one day after the five year period it is called a cure. I say let all who think they may have the cure do their best without some idiot trying to demean them and without the FDA Or AMA trying to shut them down. At least the people are offered some degree of hope with the alternative methods when they know There is no hope with the present approved methods of Slash,burn and poison. 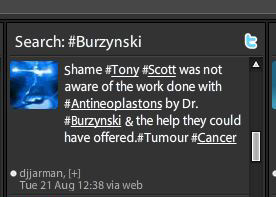 Last week I mentioned that several supporters of cancer quack Stanislaw Burzynski leapt on the still warm body of film director and suicide victim Tony Scott to promote their hero's fake cancer cures. To show you further evidence of the mentality (or lack of it) of these people, here is the response of one of them to my Twitter comment about how disgusting they were. I have no idea what this non sequitur means, unless it is that the writer can't distinguish a fictional film from reality.